ANDOVER, Mass. 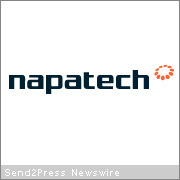 /Massachusetts Newswire/ — Napatech today announced enhanced Microsoft Windows driver support for the NT family of high-performance 10 Gbps and 1 Gbps Ethernet network adapters. The enhanced Windows support allows delivery of line speed data rates to the application for all frame sizes. The advanced Microsoft Windows support focuses on achieving the same performance as is currently available using Napatech Linux and FreeBSD drivers. This performance is normally difficult to deliver using Microsoft Windows drivers, but has now been achieved by Napatech. This provides Napatech OEM customers greater flexibility in the application of Napatech’s 2-port 10 Gbps NT20E and 4-port 1 Gbps NT4E PCI Express adapters. * Use of up to 64 advanced adapter hardware filters. “Developing a high-speed Windows interface capable of handling line speed data rates is extremely demanding. With this achievement we believe that we have the world’s fastest Windows driver for Ethernet applications,” says Erik Norup, President Napatech Inc. In addition to the features listed above, Napatech’s high-performance adapters include line rate capture and processing of frames up to 20 Gbps, 10 nanosecond time-stamping, channel merging, frame classification, conditional dynamic frame slicing, 64 user-programmable filters, packet coloring, deduplication, support for 32 CPU cores, and more. A programming interface and development tools are also provided. Napatech is a leading OEM supplier of multi-port 10 GbE and multi-port 1 GbE high-performance network adapters. The core idea is to off-load real-time/streaming protocol, payload analysis and control applications traditionally implemented in software or proprietary hardware. Napatech expects a huge growth in the demand for intelligent real-time adapters as Ethernet speeds increase. Napatech has sales, marketing and R&D offices in Mountain View, California, Andover, Massachusetts, and Copenhagen, Denmark. For more information visit us at: www.napatech.com.